The Harabati Baba Bektashi Sufi shrine, Tetova, Macedonia, 2007 -- Photograph by Stephen Schwartz. Supporters of the Bektashi religious community, unregistered officially in Macedonia, have entered a complaint before the European Court of Human Rights in Strasbourg, charging that the state authorities deliberately obstructed their registration as an autonomous religious community. They challenge court decisions that rejected such registration on the grounds that there already exists in the country a religious group with the Bektashi title, and with the same doctrines as the official Islamic Religious Community. The Bektashi petitioners do not withdraw their claim to ownership of the Harabati Baba Teqe complex in Tetova, which they have maintained in recent years, although the property has been returned to the Islamic Community of Macedonia in the process of denationalization. The petitioners' argument is based in the establishment of this important installation by the Bektashi Sufi order in 1538 for its specific needs and uses. Despite this, however, the state in the process of restitution gave the site to the official Islamic Community, leading to current litigation by the unregistered Bektashis. The Bektashis had been registered as a religious community, but later in the process of re-registration, which began in 2007, were denied it. It is known that the IC of Macedonia was most opposed to recognition of Bektashi autonomy, with the conflict in the background over ownership of the Harabati Baba Teqe in Tetova and similar shrines in cities, required by the Bektashis for performance of their religious rituals. "The legal arguments denying our registration cannot be sustained. Our name us not the same as that of another religious group, and Islam as a doctrinal foundation is common to various groups and communities, just as Christianity is the source of creed for many diverse Christian communities," according to the Bektashi religious community. Two years ago the official Islamic Community accommodated the wishes of the state and registered the Ahl-e Beyt Bektashi religious group in Macedonia. 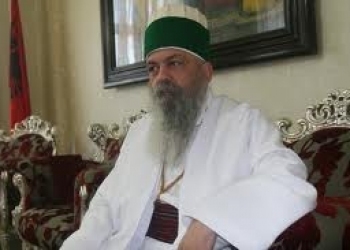 The head of the IC of Macedonia, reis ul-ulema Sulejman Rexhepi, said then that this would "protect the Bektashi title and community and put an end to misrepresentations. " But the Bektashis of Tetova and Gostivari, where the majority of them are concentrated, did not accept the Kërçova group as their emissaries. The former are supported strongly by Baba Edmond Brahimaj, who leads the World Bektashi Community from its headquarters in the Albanian capital, Tirana, and who often stays in Tetova. Arben Sulejmani, who is among the founders of the reconstituted Bektashi religious community, said they would not give up their legal battle for registration. Haxhi Dede Baba Edmond Brahimaj. "We have the right to recognition as an independent community," Sulejmani said. "We have been in this region for some 500 years and nobody can erase us from existence." 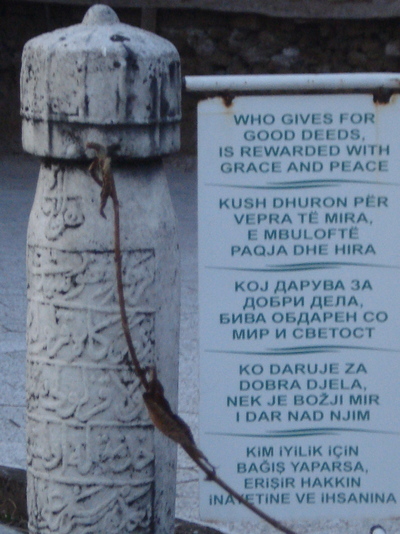 At the Harabati Baba shrine – Photograph 2010 by the Bektashi Community of the Republic of Macedonia. Their registry application at Preliminary Court 2 in Skopje [Shkupi] was rejected on the basis that the Bektashi name has already been registered and assigned to a group. By national law, "the name and official insignia of a church, religious community, or religious group must be different from the names and official insignia of those already registered." "Apparently the juridical problem is that the Bektashi title already exists in the Ahl-e Beyt religious group," the legal representatives of the Tetova Bektashis contend. "But the 'Divine Hope' Christian church, 'The Voice of God' Christian community and the 'Good News' Christian church all have been registered. The same insignia, Christian title, and designation as a faith community are included in their names. Following this example, there may be different Bektashi organizations." Legal rejection of their registration was also explained by the difference between Bektashi doctrinal sources and the principles of the existing IC of Macedonia. "If this rationale is applied to the Christian churches, which have the Bible as their source, only one church could be registered, as with the Islamic believers," the lawyers for the [Tetova-based] Bektashis emphasized. "The paradox is that there is now registered alongside the official IC the Islamic Erenler [Sufi Friends of God] Islamic Religious Community." 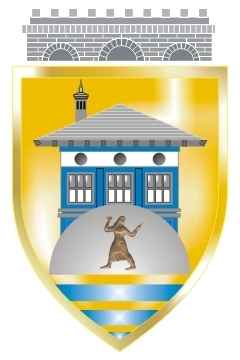 The municipal shield of the city of Tetova, depicting the Harabati Baba teqe around which the town was built. The municipal authorities have failed to assist the Bektashis at the teqe against the Wahhabi interlopers. The IC of Macedonia, however, said that for them this presents no problem. "Registration of these groups is a matter for the courts and we do not handle it because there is no legal basis for it," said a spokesperson for the ICM. "I do not want to comment on them. Further, we do not want to discuss disposition of the facilities at the Harabati Baba Teqe." The former Director of the State Commission for Relations with Religious Communities, Tsane Mojanovski, believes the problem arises from the inability of the state to establish certain principles. "The state has as yet failed to comply with identification of specific religious doctrines and affirmation of the freedom of civic organizations for religious expression," Mojanovski said. The official Islamic Community continues "to occupy most of the Bektashi Tetova compound, limiting Bektashi ability to worship," according to the latest report of the U.S. State Department on religious freedom in our country. 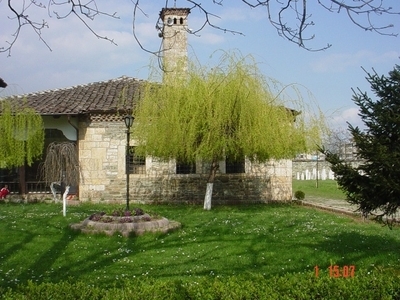 It states "The Bektashi Community of Macedonia (Tetova), an Islamic Sufi order involved in a long-running property dispute with the ICM, continued to be unable to register, which inhibited restitution of the Bektashi compound in Tetova... The Bektashi Sufi Community of Macedonia (Tetova) reported that it continued to receive threats from individuals with differing interpretations of Islam who did not recognize it as a separate group." 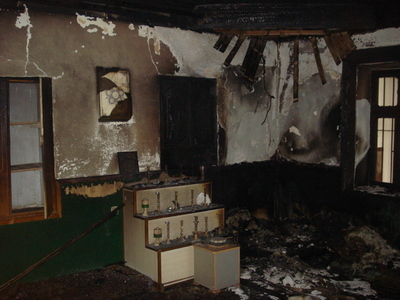 Radical Islamist destruction at Harabati Baba shrine, 2010 -- Photograph by Bektashi Community of the Republic of Macedonia. 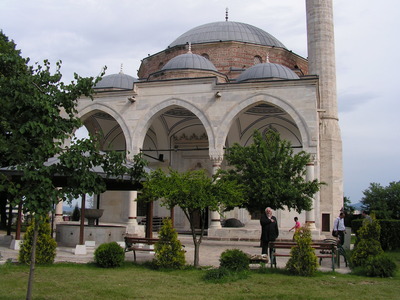 CIP executive director Stephen Sulejman Schwartz at one of the finest Islamic monuments in the Balkans, the 15th c. CE Mustafa Pasha Mosque, Skopje/Shkupi, Macedonia, 2013. Photograph by Daut Dauti.